theMCGuiRE review takes a look at the BRAND NEW and STILL IN PROTOTYPE Nemesis by Awaken Realms and rebel. what is even more awesome about this is the fact theMCGuiRE review is GIVING AWAY THIS LIMITED PROTOTYPE to one lucky subscriber. theMCGuiRE review takes a look at Everdell a brand new game from Starling Games and Game Salute. We are doing yet another prototype giveaway on this title. The game is awesome and follows a traditional worker placement game and mechanic. you have to be very decisive as you can only take one action on your turn (place worker, play a card or activate the season). 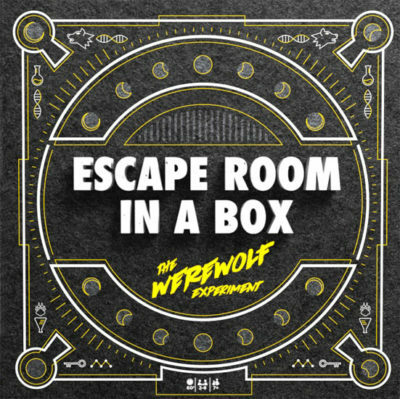 Artwork is amazing and the game drips with theme and visuals. 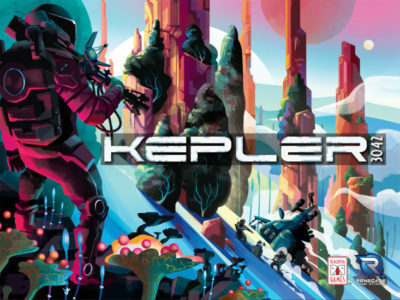 You will want to play this game just on how its looks and feels - game-play is very fun and end game design is perfect with this genre. Thanks to some holiday get-togethers, I had plenty of gaming time with the family last month. And I’m sure I’m not alone in that one, as board games make any holiday party that much better. As you know, in Parental Guidance, I introduce new games to my parents outside of the usual gateway games. The goal is to help you find new and interesting games to play with your family and non-gamer friends. While we all love the old standbys, variety is the spice of life. As usual, I’ll start by giving you a quick summary of the game I chose, followed by my thoughts on why I thought it would be a good fit for a pair of non-gamers. Then my mother will close things out by letting you know how good she thought my selection was. 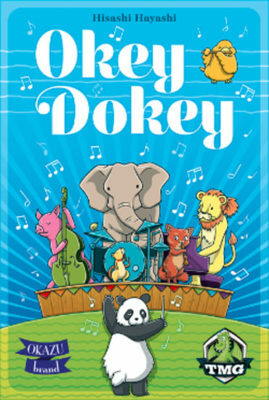 The animals have gathered for a music festival to all play their part in this special event. In the deck, there are five suits of different colors numbered 1-8. The main idea of the game is to try to play all the musicians to complete a grid of 5 rows and 10 columns with each row making up one of the colors in the deck. Seems like a simple task, but the restrictions on how those cards can be played is where the game begins. 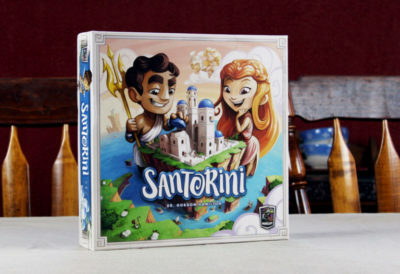 Santorini is primarily a 2-player game, pitting players in a contest of skill to see whose workers can build a tower and ascend to the top of it. 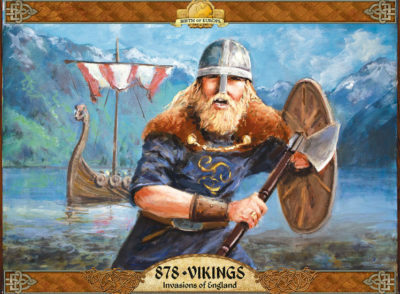 Variant rules for 3 and 4 players are included. Finished! 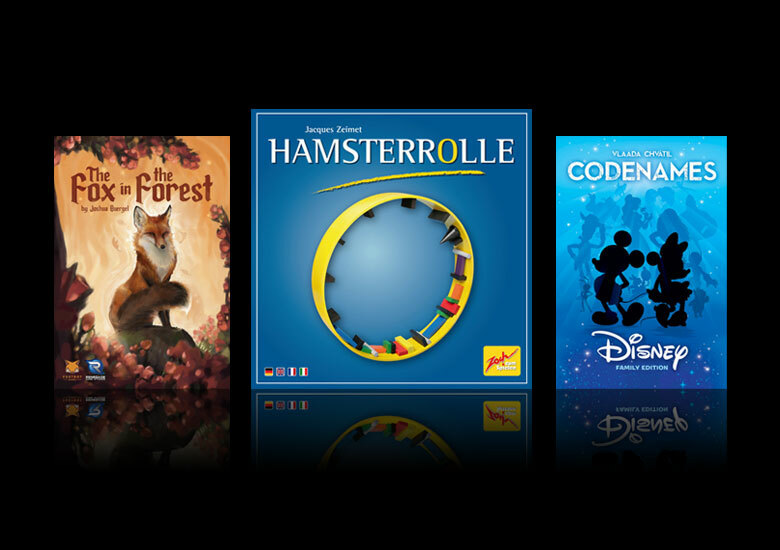 is a solitaire hand-management/deck-sorting puzzle game. The goal is to sort the deck in ascending order from 1-48 before you run out of coffee. 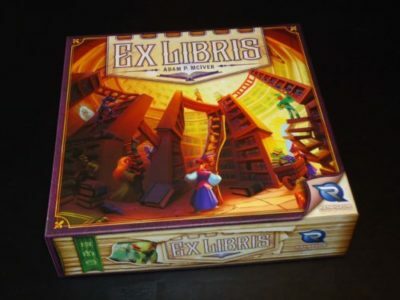 Ex Libris is a worker placement/set collection hybrid that also manages to include a spatial element in the gameplay. You’d think that this might be one mechanism too many, but it all works well together. In Ex Libris, you are trying to win the coveted position of Grand Librarian. This position is awarded to the person with the best library. To win the job, you’ll have to send yourself and your assistants out into the world to source the finest books. Once you’ve got them, you have to shelve them in order, create strong bookshelves to hold them, and make sure you feature prominent works and avoid banned books. Plus, you want a variety of books to cater to all readers!